• The United States has no compelling interest in preventing the Houthis — who are enemies of Al Qaeda — from governing the Middle East’s poorest country, and Congress never approved American involvement in the conflict. • Our commitment to defeating the Houthis has (reportedly) led the United States to make common cause with Al Qaeda militants in Yemen — which is to say, in a civil war between an Islamist group that is committed to killing civilians in the West, and another group that is not, the U.S. is intervening on behalf of the former. 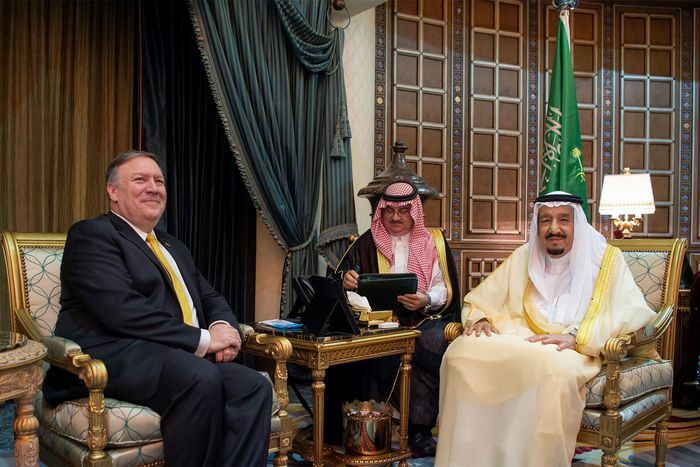 • The Saudis dropped a U.S. missile on a school bus carrying 40 Yemeni children last month — and subsequently declared this strike legitimate, as intelligence suggested some Houthi rebels were also killed in the bombing. • Allowing a totalitarian monarchy to kill thousands of civilians with bombs that are labeled “made in the USA” is a pretty good strategy for increasing the number of people in the Middle East who would like to commit terrorist attacks against the United States. In unrelated news (that in no way calls into question the Trump administration’s commitment to minimizing atrocities in the Middle East), White House national security adviser John Bolton threatened Monday to sanction the International Criminal Court if it pursued an investigation into alleged American war crimes in Afghanistan.